Handmade in El Salvador by the Getsemaní Youth Entrepreneurs! Add Mayan flare to your look with this earthy, eco-chic ensemble! 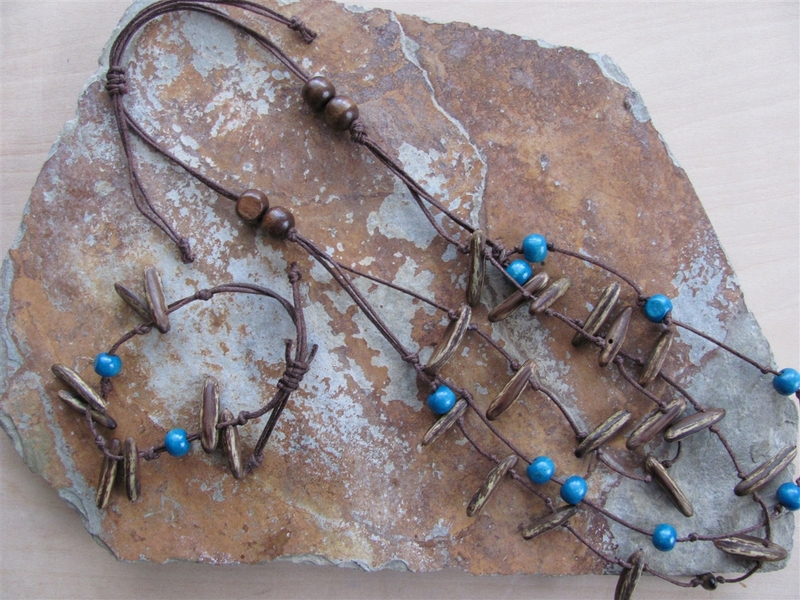 Made of locally sourced materials such as indigenous semillas and accented with wooden turquoise beads. 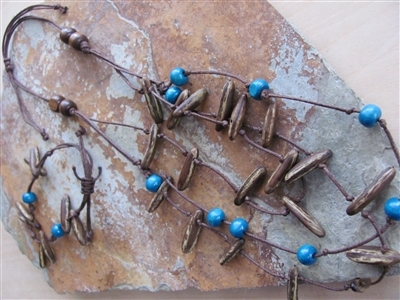 Adjustable fit: Necklace to 12" in length.